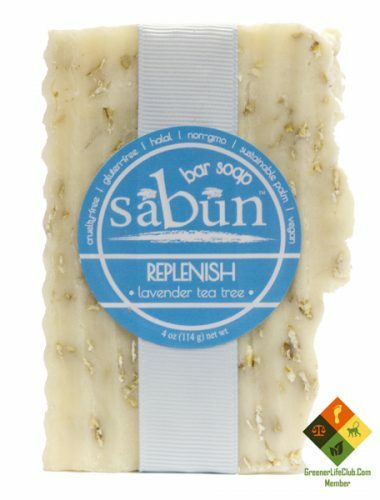 Short Product Description: Leave your umbrellas at home and let lavender and tea tree ribbons of rain hydrate and rejuvenate your skin with our Replenish Lavender Tea Tree soap bar. 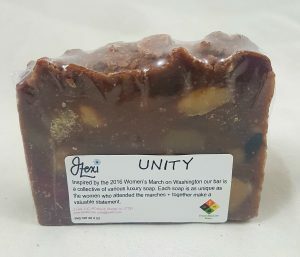 Uplifting aromas reminiscent of waterfalls and fresh rain in the woods will calm and clear your mind, while a creamy, bubbly lather and organic whole oats will lightly cleanse, deeply moisturize, and mildly exfoliate your skin, leaving it happy and quenched. So come on outside — the weather is perfect. Directions: Wet, lather, rinse. Repeat as necessary. Ingredients: Water (Aqua), Olive (Olea europaea) oil, Organic palm (Elaeis guineensis) oil, Organic coconut (Cocos nucifera) oil, Sodium hydroxide (lye), Castor (Ricinus communis) oil, Organic canola (Brassica napus) oil, Organic lavandin (Lavandula hybrida) essential oil, Organic gluten-free oatmeal (Avena sativa), Tea Tree (Melaleuca alternifolia) essential oil.